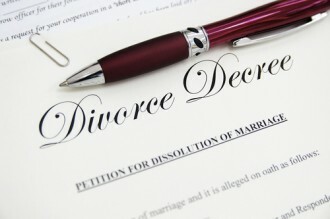 Concluding 6 Ways to Dispute a Prenuptial Agreement, here is a continued discussion regarding two more ways that divorcing spouses may be able to get prenups thrown out of family court. If you have questions about a prenuptial agreement or need any assistance with a divorce, the Lonetree divorce attorneys at Bahr and Kreidle are ready to meet with you. If you have questions about how to dispute a prenup or need help with a divorce, contact the Lone Tree divorce attorneys at Bahr and Kreidle. The prenup contains clauses that are not valid – While prenups can include terms for the division of property, businesses and other assets in the event of a divorce, there are some specific issues that these agreements cannot legally cover (such as, for example, future child support payments).When prenuptial agreements contain one or multiple illegal clauses, it’s possible to argue that the entire agreement should not be held up in court. In these cases, family courts may choose to either dismiss the invalid clauses while upholding the rest of the agreement or to throw the whole prenup out of court entirely. The prenup is based on false or incomplete information – In the event that a prenuptial agreement is based on false information or partial information (such as false or partial information regarding one party’s assets), this contract may not be valid in court.The key to this method of disputing prenups usually lies in being able to prove that one party was aware of the fact that he or she was providing false or incomplete information at the time the agreement was entered into; this may be possible through proof such as bank statements, insurance policies, email correspondence, etc. Since 1983, the Lone Tree divorce attorneys at Bahr and Kreidle have been helping married couples dissolve their marriages so they can focus on their future. Our lawyers are committed to being aggressive advocates for our clients in any legal setting and to providing our clients with exceptional personal service and the highest quality legal representation. This means that our clients can always count on us to be available to answer their questions, to fiercely defend their rights and to be tenacious about helping them achieve the best possible resolutions to their cases. If you need help disputing a prenuptial agreement or with any family law matter, our Lone Tree divorce lawyers urge you to get more information about your rights by meeting with us for a free, no obligations initial consultation. To set up a meeting, call us at (303) 794-7422 or email us using the form on this page. From our law offices in Littleton, we represent clients throughout Colorado, including in the Denver Metro Area, Arapahoe County, Adams County, Jefferson County and the cities of Lakewood, Highlands Ranch, Lone Tree, Castlerock, Westminster, Centennial and Aurora.